My favorite woodworker has always been James Krenov. I became aware of him quite by accident when I came across a well-worn copy of A Cabinetmaker’s Notebook in a used book store. I immediately fell in love with his ideas, the way he wrote, and the beautiful cabinets he built. While I commend his books to you, I think this interview with Fine Woodworking Magazine is a very approachable explanation of his design process, by way of example. 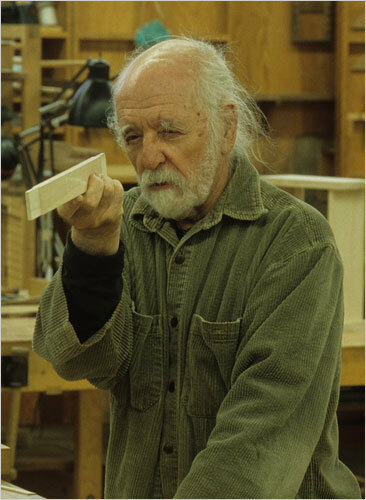 In this interview from the late nineties, Krenov describes how the wood he chose for the sides of a cabinet he was building changed its overall design. 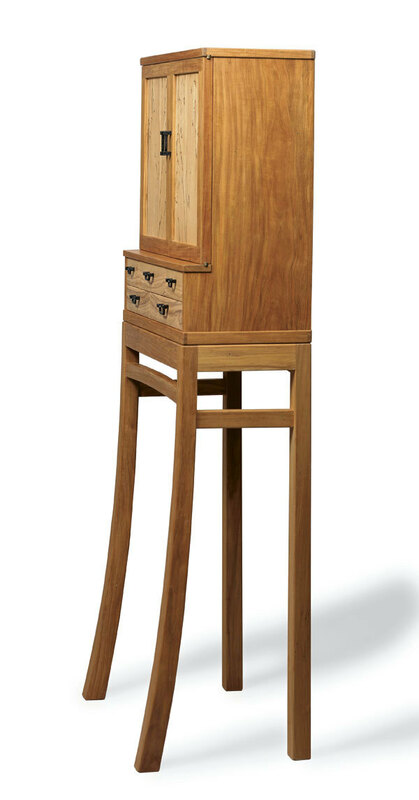 Originally conceived of as a purely rectilinear cabinet, he noticed a “pleasing” forward curve in the wood grain, so he changed the leg design so that they would sweep forward to the floor. The character of the wood in part of a cabinet changed the design of the entire thing. I see this as a metaphor for the best way to make improvements to oneself. For decades, I tried to make wholesale, sweeping changes to who I am, with minimal success. In the last few years, and almost in spite of myself, I came to realize that I could make real, meaningful improvements to myself, if I took the time to better consider my current state before enacting a plan to bring about a final state. But while you sometimes let the wood guide you, you shouldn’t let it dictate. You have to refer to the wood without abandoning your intentions. There has to be a cooperation, a partnership between the two. The idea is to follow, but be careful. I plan to post here daily, as an act of discipline and as a means to improve my writing, and I hope you stick around to see how I turn out.